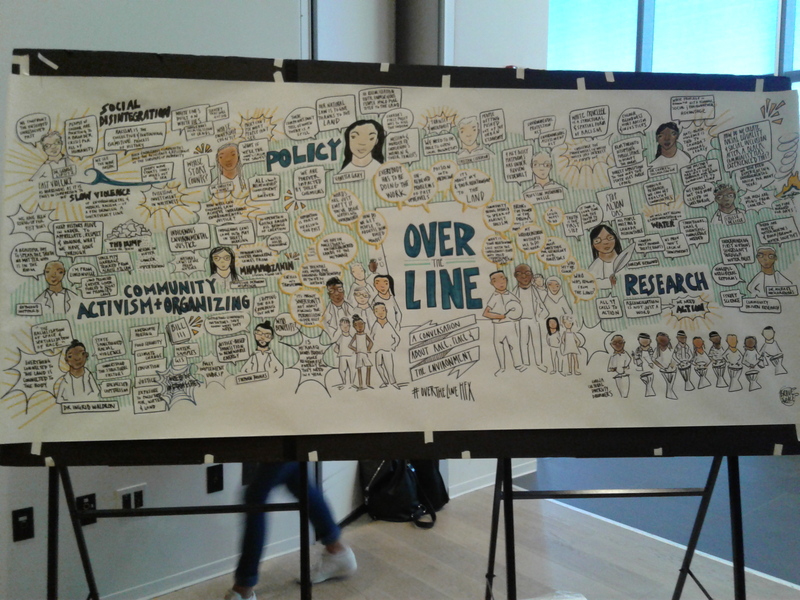 Organized by the Environmental Noxiousness, Racial Inequities & Community Health (ENRICH) Project, Dalhousie University’s School of Nursing and the Healthy Populations Institute at Dalhousie University, this one-day symposium took place in Halifax on October 27, 2017. Three panels explored how we can engage in a more inclusive conversation about the social justice dimensions of the environment. Professor Deborah McGregor, Fish-WIKS steering committee member from York University, was a panelist on the Community Organizing Panel. 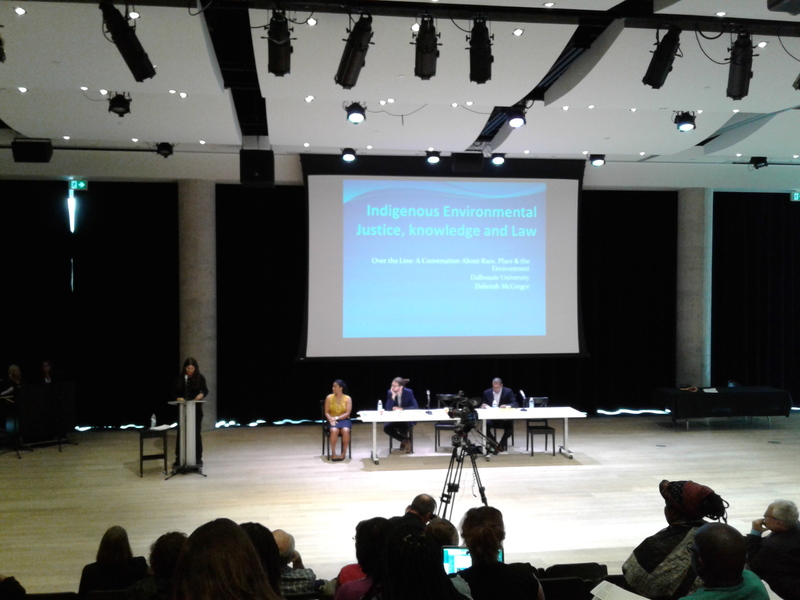 In a well-received presentation she outlined the Anishinabek conceptions of law and environmental justice. Responsibilities are at the heart of the Anishinabek legal structure as well as relationships which include “all our relations”, not just human relationships. Knowledge, too, is not only the domain of humans as, for instance, water can equally collect knowledge and trauma. Relationships were also a common theme among the panelists of the Research Panel which explored how research can be used to address the social, economic and health effects of race, place and the environment. Reconciliation, for example, is only possible when done together, as treaty peoples. Black Lives Matter can only be successful if accompanied by the dismantling of white privilege. The final panel, concerned with the role of policy in environmental justice, focused on our relationships with the land. Good intentions are not good enough if our goals are to right past wrongs, to extend environmental human rights and fair access to resources to everybody, and to implement the United Nations Declaration on the Rights of Indigenous Peoples. What is lacking are committed, reciprocal relationships that turn words into action. At the end of the symposium, poet Abena Amoako-Tuffour turned action into words by providing a spoken word summary of the day’s events. Rachel Derrah and her colleague provided graphic facilitation of the symposium. Their collaborative artistic summary is depicted below.